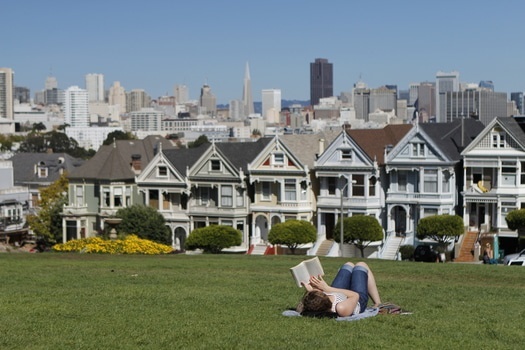 A whopping eighty-one percent of homes in San Francisco were worth over $1 million in October 2018, according to research by Trulia. That is 13.7 percent more than the homes that were valued over $1 million in October 2017. The percentage of home over $1 million was 70 percent in nearby San Jose and 30.7 percent in Oakland. In Los Angeles and Orange County counties in Southern California, nearly 1 in 5 homes are worth over than $1 million. In fact, 29 percent of California’s neighborhoods have a median home value of at least $1 million, the highest by far of all states analyzed.